Set in Morocco’s capital on the mouth of the Bou Regreg river, the Udayas Kasbah (or as it’s also known, Oudayas Kasbah) is one of the country’s most unique sites. Originally built in the 12th century and renovated many times since throughout the centuries, it has been home to Arab tribes, Andalusian immigrants, and some of Morocco’s most powerful sultans. 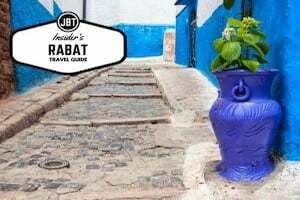 Walk up the steps leading to the imposing gate of Bab Oudaya and discover the winding streets of the Kasbah that will take you to Rabat’s oldest mosque, beautiful gardens, and an exquisite museum. The history of Udayas Kasbah is essentially the early history of Rabat. It is here that the city began, all the way back in the 12th century. At this time, the Almohad dynasty needed to defend its territory and decided to build a powerful fortification in a strategic location. Standing on the on the banks of the Bou Regreg river, the Kasbah was ideally placed to protect the city from pirate ships and invading forces. It wasn’t until the Alouite dynasty, however, that the Kasbah hit its full military stride. Sultan Yacoub al Mansour, who built the famous Koutoubia Mosque in Marrakesh, hired an Arab tribe (the Oudayas) to defend the city and refortified the structure adding the western ramparts and a lavish palace for himself. Despite his large investment in the city and even though his son later constructed signal stations and added further fortifications, the Oudayas Kasbah was somewhat deserted after the death of Yacoub el Mansour. Still, different peoples continued to inhabit the walled city and add their personal touch to the winding streets of the Kasbah. In the 17th century, for instance, Muslim immigrants fleeing from Catholic Spain sought refuge in the abandoned Kasbah and responded in kind to the sultan by building the Pirates’ Tower, whose steps lead all the way down to the river. Nearly one thousand years later and after numerous additions and embellishments, the Kasbah des Udayas is a flourishing city within a city and home to approximately 2,000 of Rabat’s citizens. With its own mosque, fountain, hammam and even communal bread oven, there is very little that’s missing from this bustling city on the mouth of the Bou Regreg river. In keeping with its glorious past, the Oudayas Kasbah is today one of Rabat’s proudest features. 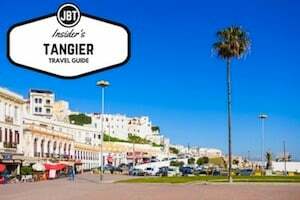 Perfectly combining historical sites with modern establishments, the Kasbah is at the same time home to some of Rabat’s oldest buildings and the place where you will find the capital’s most hip cafés and shops. As you make your way into the grand Kasbah, check out the art exhibitions within the main gate and prepare to discover a whole new city within a city. 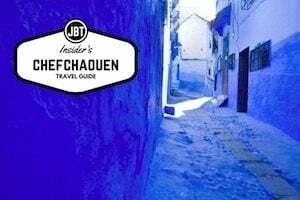 To the right, you will find Rue Jama which will lead you to the 12th century mosque and further ahead to a large platform where you can admire a spectacular view of the Bou Regreg estuary and the Atlantic Ocean. To the left of the main entrance, wander down a winding street lined with picturesque houses to reach the banks of the river and enjoy a pleasant stroll through the beautiful Jardin des Oudayas (Oudayas Garden). The exquisite Musée des Oudayas (Oudayas Museum) can be found at the top of the garden across a pool. 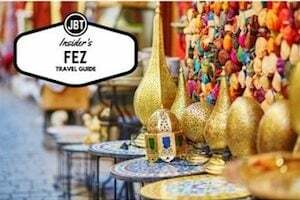 It’s here that you’ll find an impressive array of traditional Moroccan artwork, carpets, astronomical instruments, and ancient items such as a 12th century Koran. The Oudayas Kasbah is the epitome of Morocco: its historical streets easily blend ancient features with modern establishments and a friendly people ready to welcome you into their little corner of the world. A visit to the Udayas Kasbah is just one of many options when traveling with our team to Morocco. 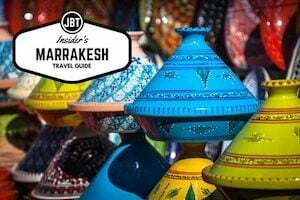 Many of our itineraries in Morocco have a night in Rabat (which we recommend over Casablanca in most cases) where you can explore the laid-back medina, visit the Chellah Gardens, and even spend an hour or more of your leisure time in the kasbah. If you are looking for a well-organized and perfectly customized trip, then get in contact with us to explore your options! This article was co-authored with Maria Inês Pinto, a young Portuguese freelancer born with a passion for writing and travel. She has spent her life hopping around different countries, having lived in Canada, the US, India and Ireland.